HOME / Is a Detox necessary? The human body is an amazing machine, it is perfectly able to cleanse and purify itself on its own. Because of this, detoxing isn’t always as necessary as it might be advertised. However, a detox is good once in a while, as it allows the skin to replenish needed vitamins and minerals, giving you a more youthful appearance. You should want to start a detox if you need a break from the day-to-day or if you want to boost your overall health. It is a good way to escape your normal routine and to make some changes in your life, as detoxing can be helpful if you want to kick off positive a lifestyle. Not everyone can stick to those strict diets or get a spa treatment. You should choose a program that helps you cleanse, balance and heal at your own pase. Treatments and products with mud or clay help with detoxifying, they help balance the skin’s pH and eliminate toxins. Seaweed, algae and sea salt are also great, they help draw impurities out and have balancing and healing properties. 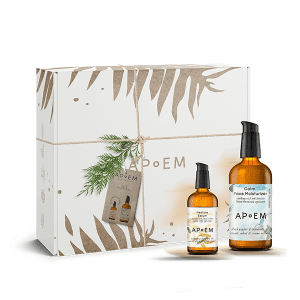 A much simpler way to “detox” your skin from harmful ingredients and chemicals is to go for natural and safe products, like the ones we have at APoEM. All of our products are vegan & cruelty-free certified, as well as natural and free of grey substances or toxins. Try our Detox products, the Detox Serum, Face Srub and Face Wash.
It’s never too late to make changes your life, choose the healthy path. If you have any questions, don’t doubt sending us an email or messaging us through or social media.